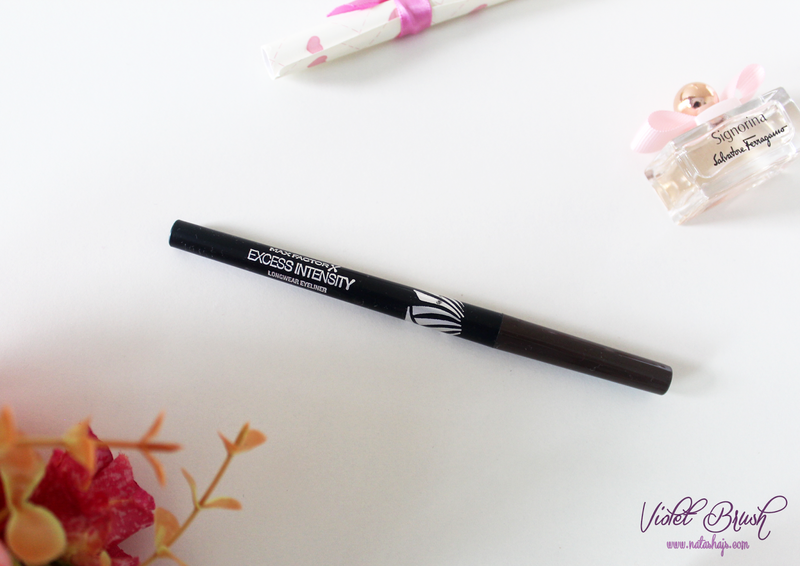 Take your look to the extreme with Excess Intensity Longwear Liners. Colour glides on for intense impact that lasts. One thing that you have to notice is that the pencil breaks easily so don't rotate it too much since you can't get the 'eyeliner lead' back in (I've tried it :b). But well, I think that this eyeliner is more like a gel-type eyeliner but in a pencil form. The color of Max Factor Excess Intensity Eyeliner is pigmented enough. 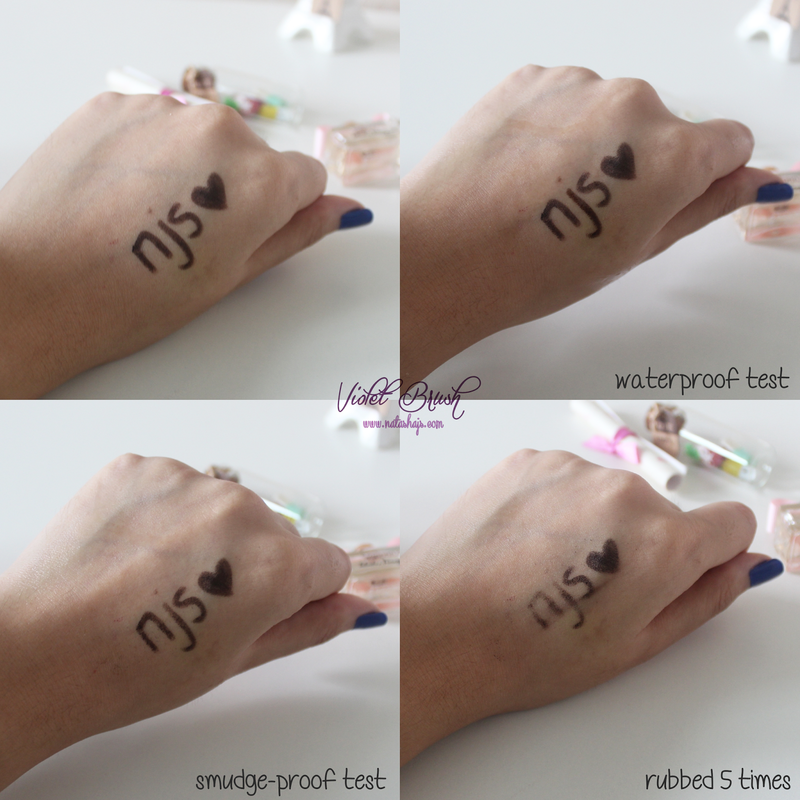 From the test I did, it's waterproof and also smudge-proof! 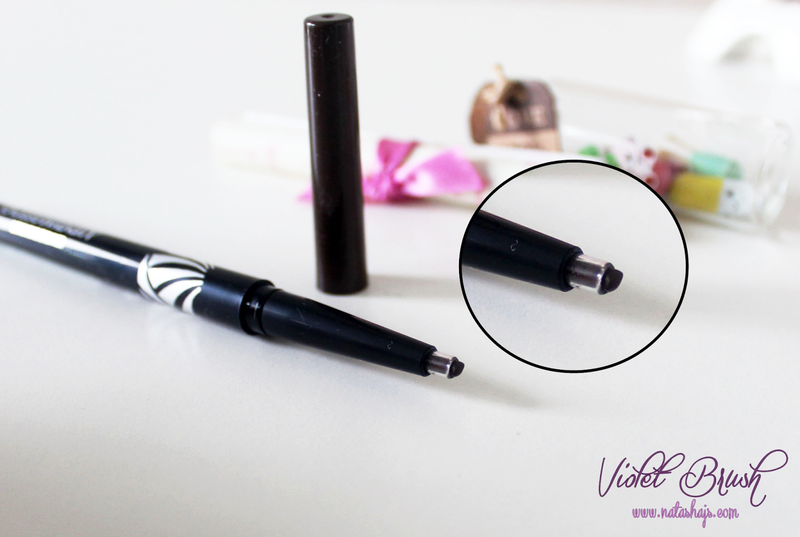 It glides on pretty easily too but since it has blunt tip, this eyeliner is pretty hard to be used to create thin and fine lines. 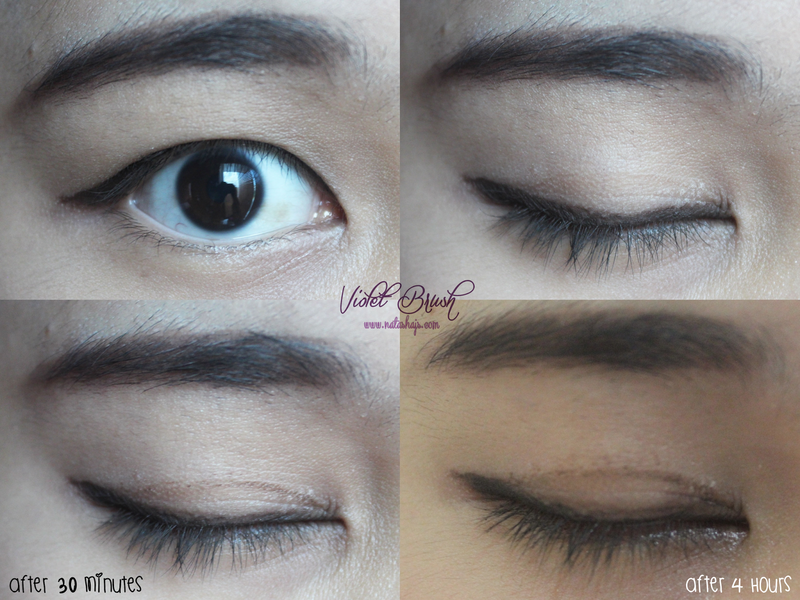 One disappoint thing though, this eyeliner creased in 30 minutes after application. Mind you, my eyelids are not that oily. 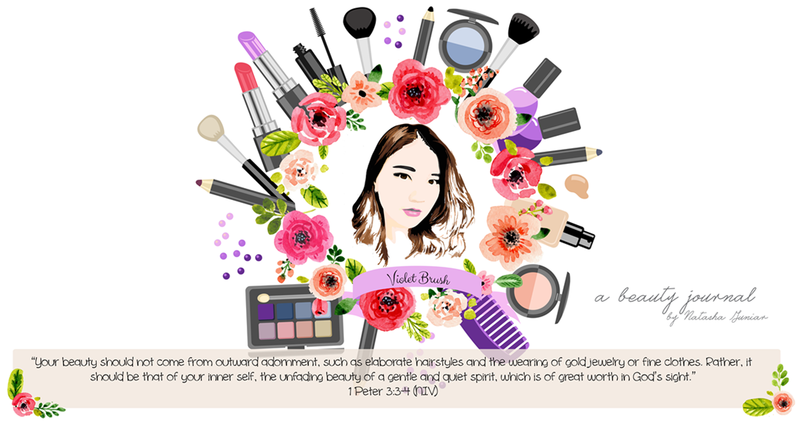 I think it's not suitable for use on upper lash line, especially if you have monolids like me. But I think it's pretty good to be used on the lower lash line. I would love to try another fun colors but I'm still contemplating.